We are purely Czech company, that ranks among the leading manufactures of grinding machines for metal and wooden materials. 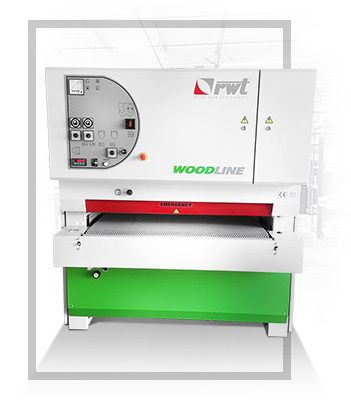 Grinding machine RWT is a semiautomatic machine for finishing operations by calibrating and sanding solid wood, wooden materials, blockboards, veneered panels and similar materials. It can also be used for in-process grinding painted boards. Used construction materials and components along with the technical solution of the machine are the guarantee of a reliable and safe operation of the machine, high quality of machining and economic operation. 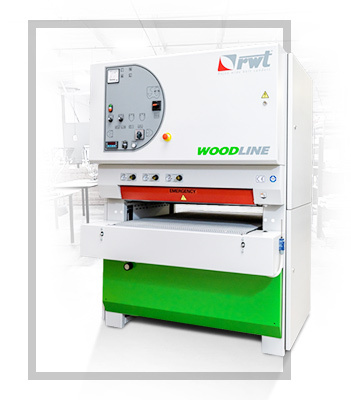 Accurate calibration of solid wood material, chipboard and MDF (medium density fiberboard) by steel or rubberized roller. 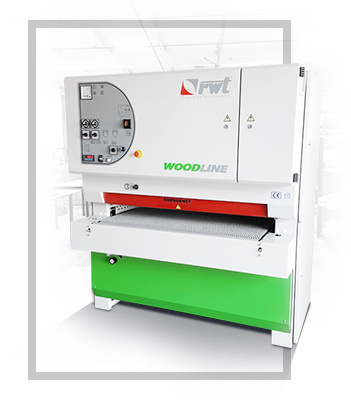 Universal design for calibration and sanding of solid wood, chipboard, MDF and veneered materials. Discs sanding brushes of diameter 150 mm with replaceable abrasive inserts for sanding profiled solid wood panels, MDF and lacquered surfaces. Brousící kartáč o průměru 300 mm s vyměnitelnými vložkami pro broušení profilovaných dílců z masivu, MDF a lakovaných dílců. Rustic abralon or stainless steel brush diameter 200 mm for rustic and structuring of solid wood. 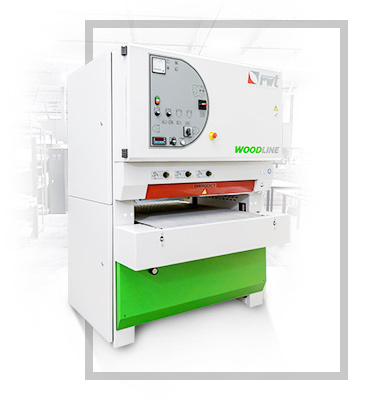 Combination of the wide belt unit, pad and brushing units for complex sanding of solid wood parts, MDF and veneered materials. All rights reserved (c) 2018 - RWT s.r.o.